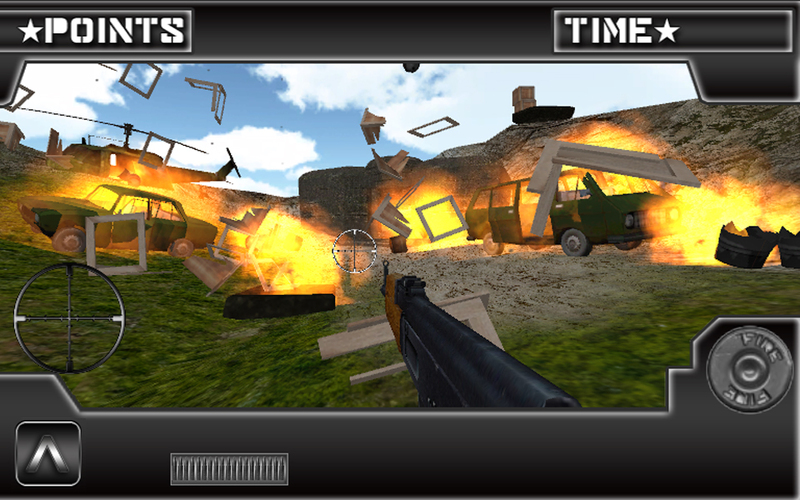 Guns is a realistic simulator and game, in which you are able to choose a lot of different weapons and look at them from every angle: Assault Rifles, Sniper Rifles, Rocket Launchers, Handguns, Shotguns, Machine Guns, Sub-Machine Guns, etc. 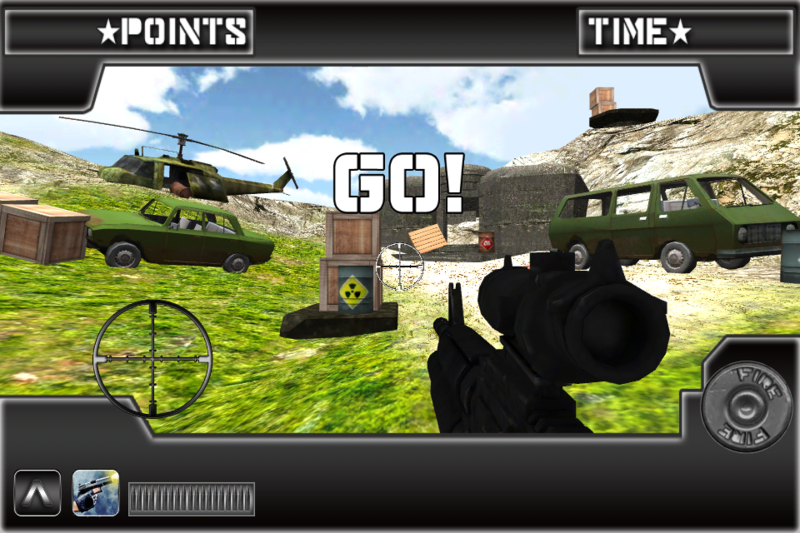 Try each weapon out and shoot down the different objects in the game environment like you would be in the real world. 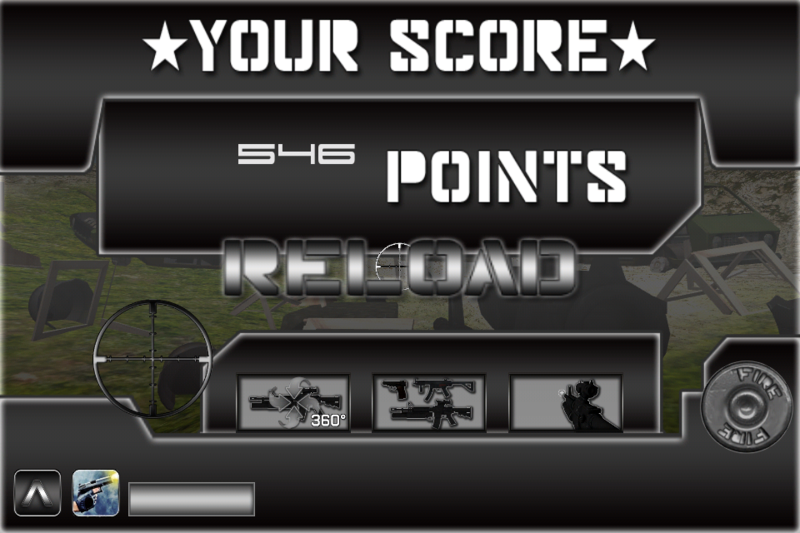 Score as much points as you can. 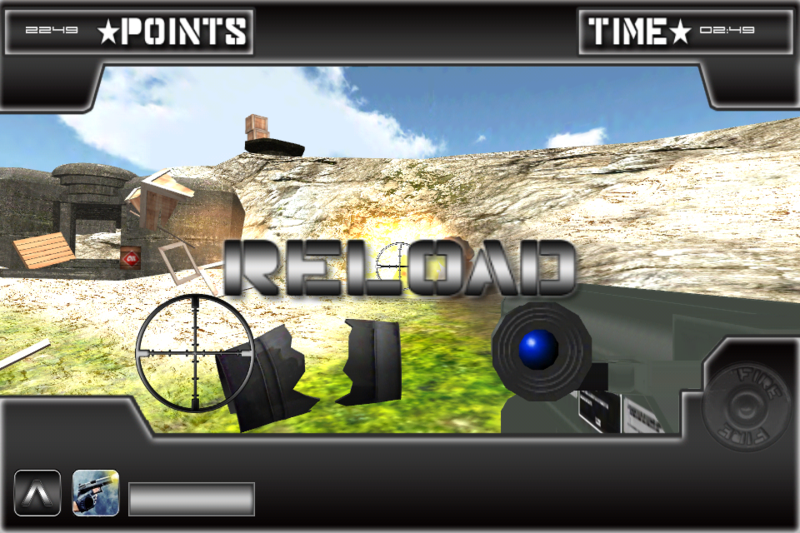 Tap the screen to fire and use the joystick to aim at the objects. You have the possibility to fire with all the guns and destroy the scene. You can destroy boxes, a barrack, pallets, cars, one helicopter, etc. 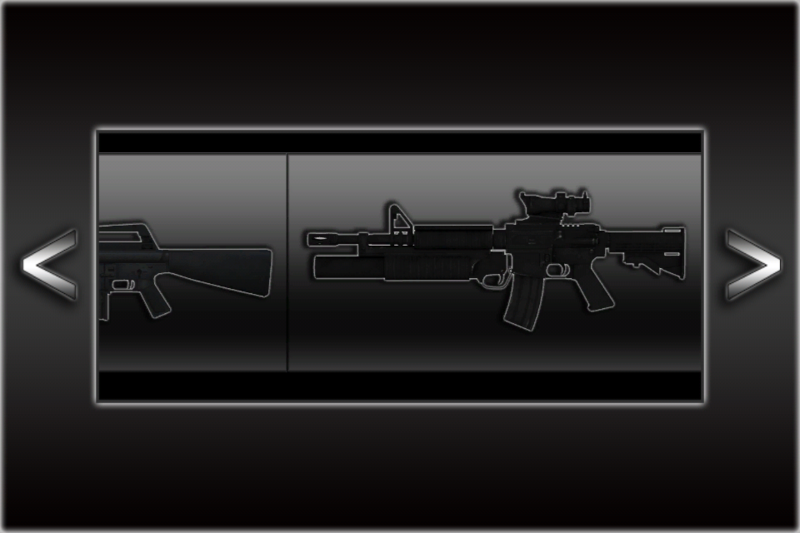 This is a free application - download the greatest gun app ever and enjoy it!